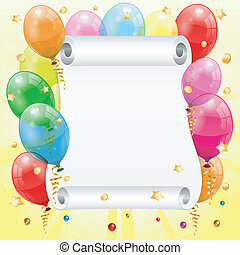 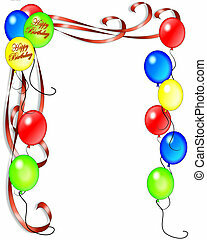 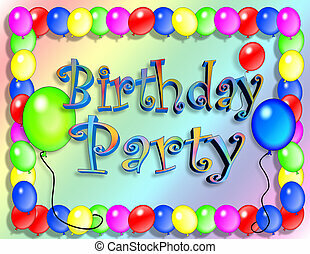 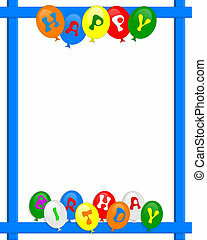 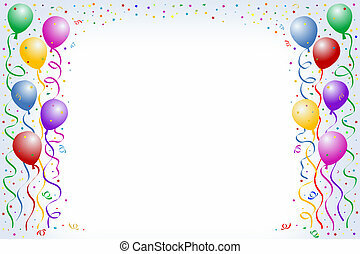 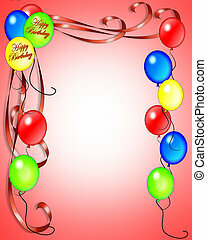 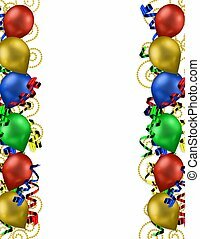 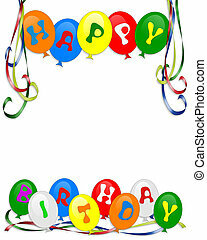 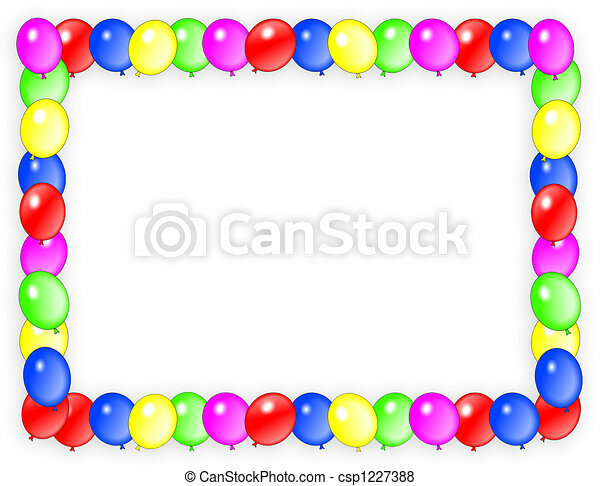 Birthday invitation balloons frame. 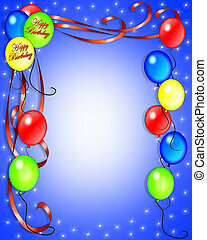 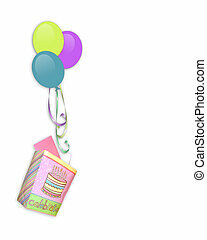 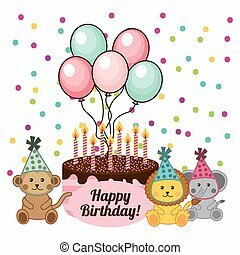 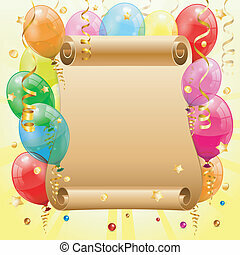 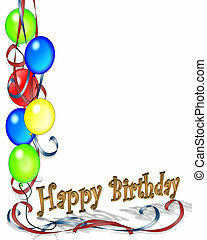 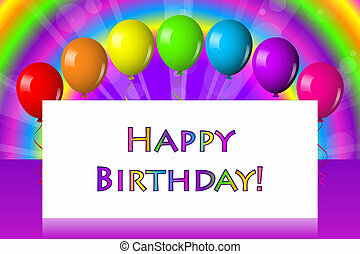 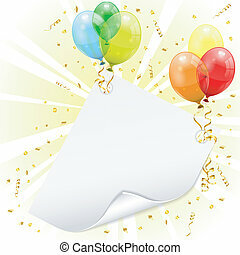 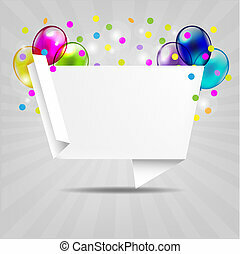 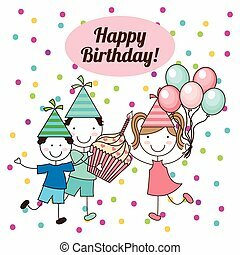 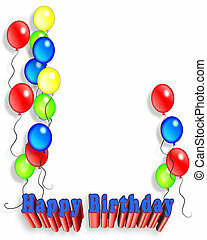 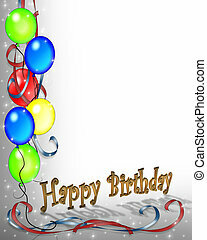 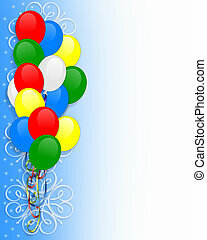 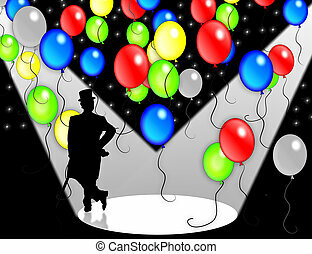 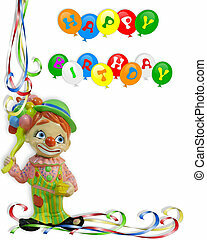 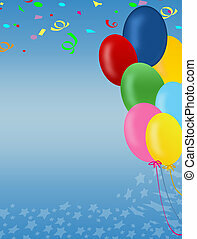 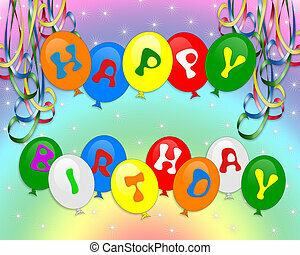 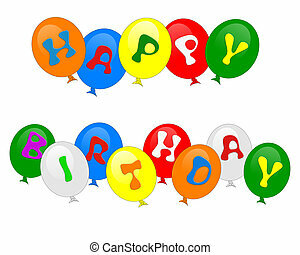 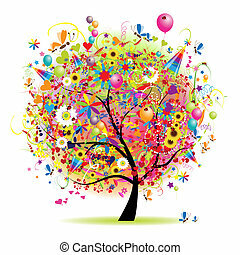 Birthday balloons illustration for invitation, frame, background, card or stationery with copy space. 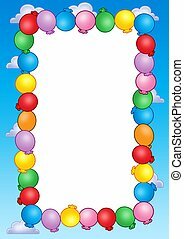 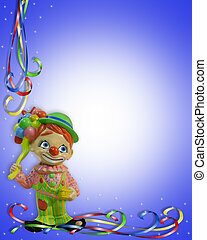 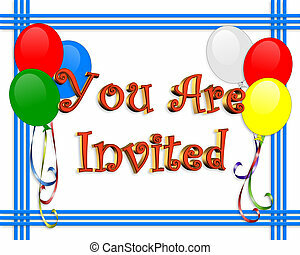 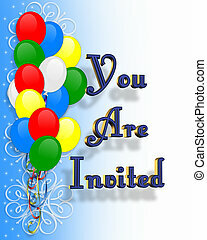 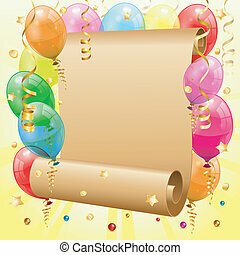 Party invitation frame with balloons - color illustration. 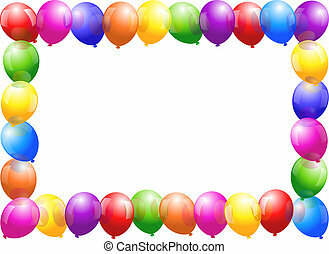 Colorful glossy balloons that form a frame. 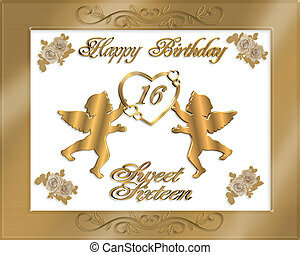 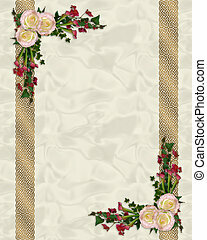 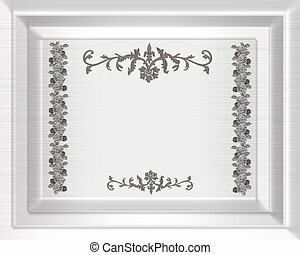 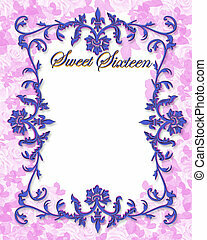 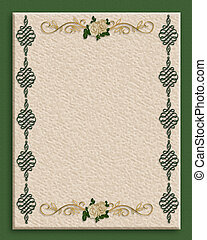 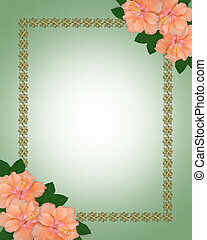 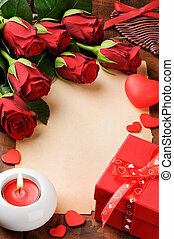 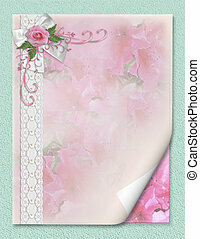 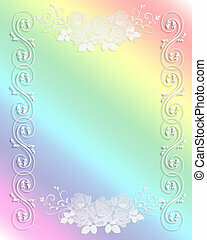 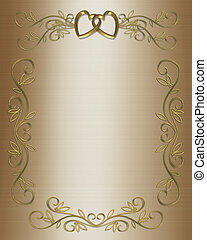 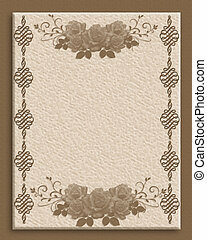 Illustration for ornamental frame, background, border or invitation with copy space. 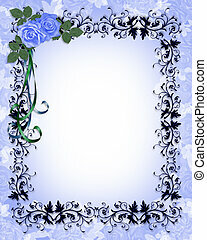 Image and illustration composition design template for Valentine, birthday or wedding invitation, stationery, background, border, frame with copy space.